These were part of a trial run for baptism favours. They turned out delicious. 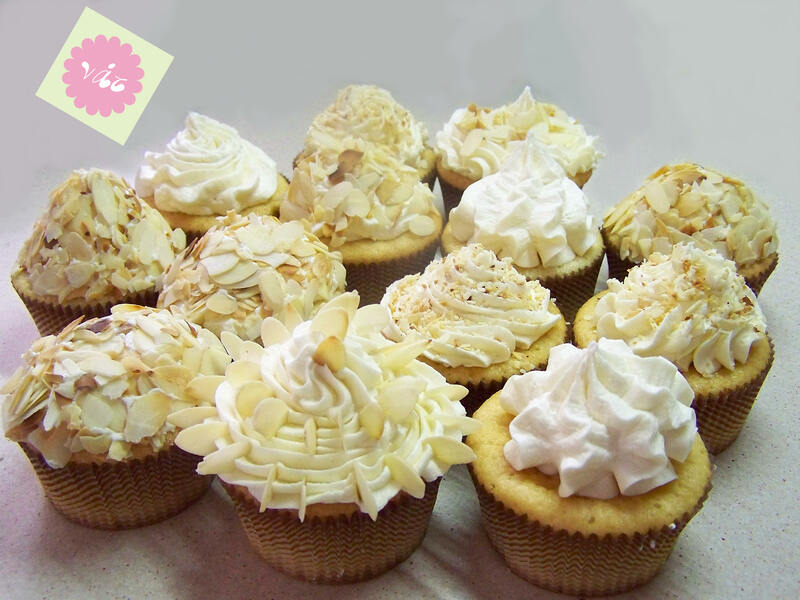 An almond flavoured cake with almond buttercream and toasted almonds. I also tested out a few designs with these cupcakes covered in fondant with various bug deisgns which will be their theme. Can’t show you those yet, but they will be something to look out for at Easter.